Digital audio workstations (DAWs), software synthesizers, and effect plugins are the main tools of trade of modern music production. Running them on an aging laptop can not only be an infuriating experience, but it can also ruin the live performance if a musician decides to take the laptop with him or her on a stage. Anyone who loves making music and takes music production seriously should forget about consumer-grade laptops and, instead, purchase a machine capable of meeting professional’s demands. The needs and wants of professional musicians and producers aren’t that much different from those of gamers, video editors, and graphic designers. They all seek reliability, excellent performance, good build quality, and the elusive x-factor that makes one look forward to using a laptop. That said, there are certain criteria that make some laptops better for music production than others. Unless we talk about sheet music composition using music notation software such as MuseScore or Finale, music production can be surprisingly resource-intensive. Not only are most commonly used DAWs demanding even when run on their own, but a musician or a producer usually needs to run several effect plugins and synthesizers alongside his or her DAW of choice. 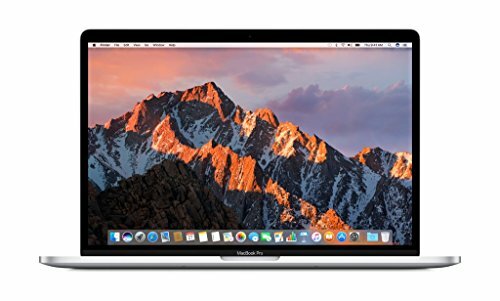 Specifications: The latest version of both Windows and Mac OS X is very memory-efficient, but it’s always good to have a few extra GB of RAM just to avoid hard drive caching, which can slow everything to a crawl. 8 GB is the mere minimum, but 16 GB or more is better. Even more important part of the equation than memory is the CPU. Avoid going for an increased battery life for sheer performance—once you hit the play button and all your loops and samples start playing, you’ll need every gigahertz you can get. The one thing you can save money on is the GPU. Modern integrated GPUs are all you need if you don’t plan on procrastinating by playing AAA games. Screen Size: When we talk about screen size, we inevitably also talk about portability. The smaller the screen, the more portable the laptop is. On the other hand, the larger the screen is, the easier it is to fit everything on a single screen. Don’t forget to also consider the screen’s resolution. The Full HD resolution has become the standard resolution for nearly all 15.6” and larger laptops, but you can still find a few odd ducks here and there the resolution of 1366×768 pixels. Nearly all smartphones have more pixels than this, so you should avoid all laptops that haven’t yet received the memo saying that it’s 2017 already. Connectivity: The one thing that all musicians need is to have the means how to connect all their audio gear. We’re talking about electronic keyboards, which often require two USB ports, amplifiers, external sound cards, microphones, mixers, signal processors, hardware synthesizers, and other things. Most of these devices either connect via a USB port, or they use some industry-specific connector that goes into something that, again, connects via a USB port. In other words, the more USB ports your laptop has, the fewer USB hubs you’ll need to carry with you. Battery life: A long battery life is beneficial if you spend a lot of time on the road, but you may safely sacrifice it if you already know that the laptop will spend most of its life plugged. You can increase the battery life of any laptop by purchasing a portable laptop power bank. A good power bank can keep the beat going for several additional hours, and you can also use it to charge your other electronic devices and sometimes even to jump-start the engine of your car. Calm your horses, people. We know the MacBook Pro isn’t a PC, but it’s hard to argue against it being the industry standard for professional musicians, such as Tiesto, Avicii, Calvin Harris, Chainsmokers, Skrillex, Alesso, David Guetta, Pharrell Williams and will.i.am. Despite the premium price of all Apple products, their computers laptops and computers are amazing machines for people who want to get things done. Virtually all popular audio production applications, including Ableton Live, LMMS, FL Studio, Ardour, Reaper, Cubase, Reason, Logic Pro, Renoise, Adobe Audition, or Avoid Pro Tools, just to name a few, are available for Mac OS X, and the operating system itself is optimized for high-fidelity audio processing. Our favorite model for music production is the 15.4” version of the new MacBook Pro with 256 GB SSD. It comes with a beefy Intel i7 quad-core processor clocked at 2.6GHz, with an optional turbo boost up to 3.5GHz, four USB-C ports, Intel HD Graphics 530, the latest version of the Mac OS X operating system, and Apple’s Touch Bar. Most developers of popular music production applications have already released updates which take advantage of the Touch Bar, making in-app navigation, instrument selection, and adjustments much easier than before. As far as laptops are concerned, this is, arguably, as good as it gets. That’s why Afrojack, Deadmau5, and even the most popular YouTuber, PewDiePie, use the Razer Blade Pro as their main computer. Razer has designed the Blade Pro to be a full-fledged desktop replacement, featuring NVIDIA’s GTX 1080 desktop graphics card with 8 GB of VRAM, Intel’s i7-6700HQ quad-core processor, and whopping 32 GB of DDR4 memory. With specifications like these, even the most hardware-demanding music production software won’t lag or stutter. To leverage the power of the GTX 1080, the Blade Pro is sporting a 17-inch 4K IGZO G-SYNC display, which stands out with its 8.3 million pixels and unprecedented visual clarity even under stage lights. The entire laptop is machined out of aircraft-grade aluminum and packed into a 0.88-inch thin unibody chassis. Razer wouldn’t be able to make the Blade Pro as thin as it is if it wasn’t for the ultra-low-profile mechanical keyboard with anti-ghosting capabilities, optimized reset points, an actuation force of 65g, and individually backlit keys. Next to the keyboard is a customizable trackpad that can either replace your mouse or help you quickly access some of the most often used functions of your DAW. Both the MacBook Pro and the Blade Pro are high-end products in every sense of the word. If the depth of your pocket is more limited, it might be wise to choose a laptop that matches most of the specs combined from the two laptops above at a much lower price. 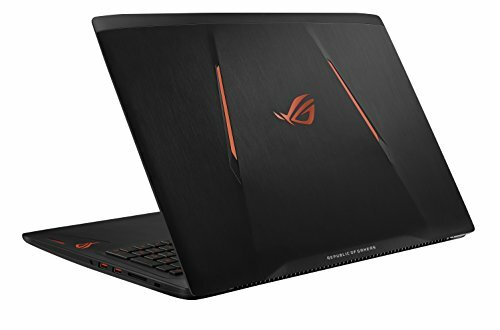 The ASUS ROG GL502VS-DB71 is that laptop. 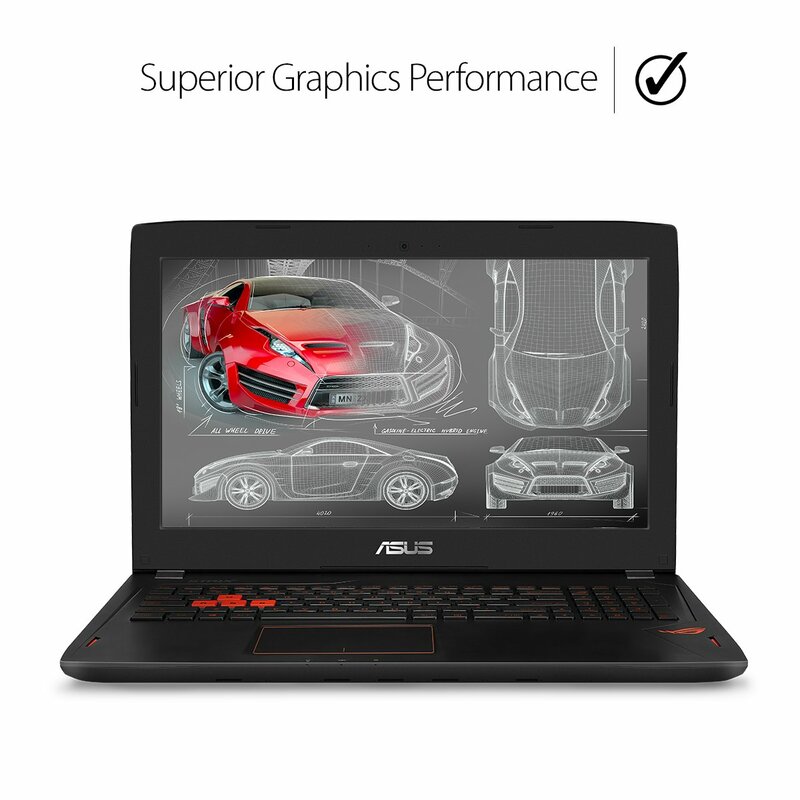 It comes with a mobile version of the GTX 1070 graphics card from NVIDIA, Intel i7 quad-core processor, 256GB NVMe PCIe SSD + 1TB HDD for an ideal balance of speed and space, and 16 GB of DDR4 memory for smooth multitasking. The laptop also features red-backlit scissor-switch keys with a travel distance of just 1.6mm, 802.11ac 2×2 WiFi, Bluetooth 4.0, USB Type-C Gen 2, and up to 5-hour battery life. 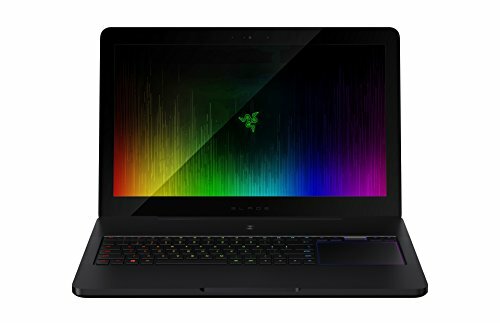 While there are laptops with better specs than this, as demonstrated by Razer, the extra performance doesn’t always give you a better user experience. Most people who look for a laptop for music production will be entirely satisfied with what ASUS has cooked up.